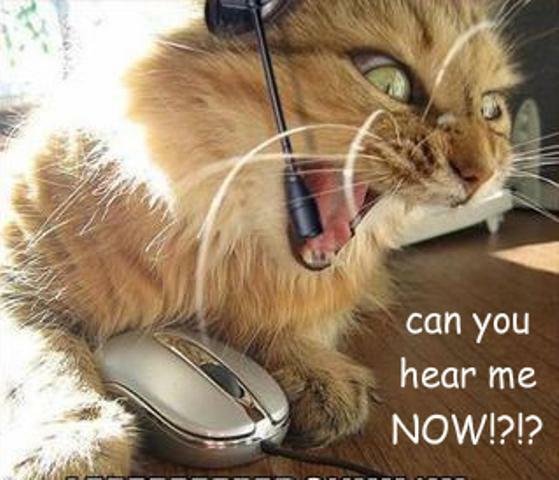 PPJ Note: Below is a power point presentation on how to con people into accepting the SMART Grid and SMART meters. There is no mention of the dangers of these meters or the fact that they can alter and damage DNA, cause cancer and numerous other ill health affects. Once you realize the massive programs set in motion to create public consent you will realize the dangers behind the manipulations. Why would any of us willingly accept microwave radiating frequencies that military documents say are used as weapons to target and kill? Why would any of us accept a smart meter when we know the Department of Defense is “deploying” these bio-hazards on our homes? And why have most people been so ignorant in “allowing” this kind of obvious mistreatment? We have all been carefully, over many years, programmed to OBEY . . . a form of mind control. . So what do we do you ask? The invisible “controllers” have a policy which states exactly what their plans are. 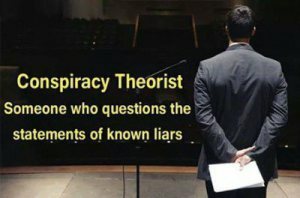 So why not read this 44 page document called “Silent Weapons for Quiet Wars” on www.StopTheCrime.net Source Doc Tab and learn how the manipulation has been implemented. Only after learning what the plan is will you effectively wage resistance against this diabolical agenda to “control” everything on this planet. What the definition of control is = absolute control, absolutely = mind control (the remote control of your thoughts, reactions and actions) and their decision whether you live or die. Here is what you can do in the meantime. Our actions affect our outcomes and “they” need us to comply. Do not comply! Keep in mind we have been cut off from any form of representative leadership or legal systems that were thought to protect us. The shadow government is presenting themselves visibly as bankers and mega corporations and they are posing as a legitimate government in the United States, and they are not. We are now USA, Inc. Our current reality will become clear when you read the recommended source documents on StopTheCrime.net which are written by the very elite groups implementing these horrific agendas. 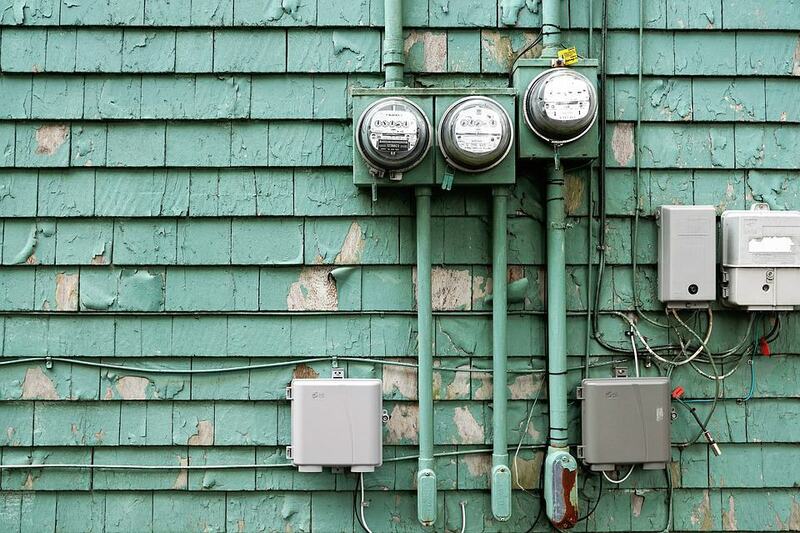 Refuse the smart meter, take it off! Risk whatever it takes we are at war under the declaration proclaimed in the “Silent Weapons for Quite Wars” the policy adopted by in invisible shadow ruling elite many years ago. . NOTE** This is an example of how YOU can put YOUR public servants on official notice of liability. This includes City Council members, County Officials and State regulatory agencies. This information has been gathered from around the web on SMART METERS. Ten counties in California have banned Smart Meters. 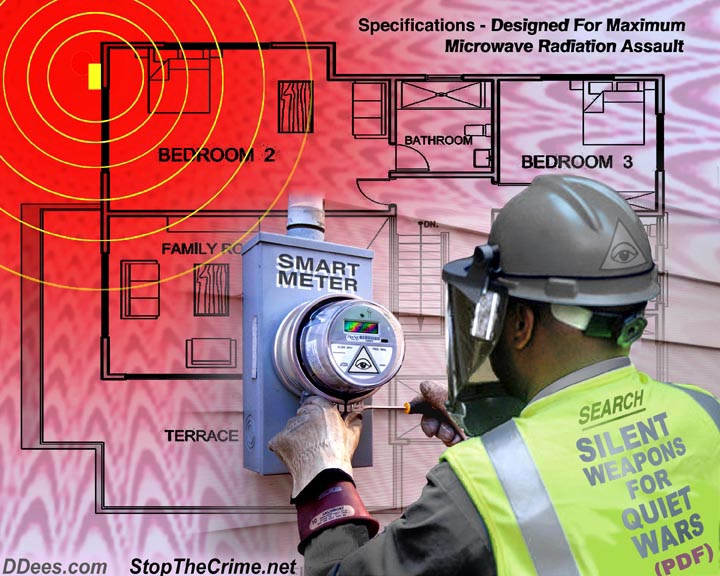 These wireless meters on every home and building will emit huge pulses of microwave radio frequency radiation as often as every few seconds throughout the day and night, seven days a week. Our FCC exposure standards only cover short-term thermal (heating) effects; they do not cover long-term accumulative exposure, nor do they cover biological impacts. And that’s just the indoor part. All transmitters inside your home or office will communicate with a Smart Meter attached to the outside of each building. That meter, in turn, will transmit at an even higher frequency to a central hub installed in local neighborhoods. In what are called “mesh networks,” signals can also be bounced from house-meter to house-meter before reaching the final hub. So exposures will not just be from your own meter, but accumulating from possibly 100-to-500 of your neighbors’ as well.